Russian Proton-M rocket puts Russian government communications satellite Express-AM5 into orbit. U.S. Air Force selects Raytheon’s high-bandwidth AEHF satellite terminal for secure, protected communications to aircrews during nuclear and non-nuclear missions. 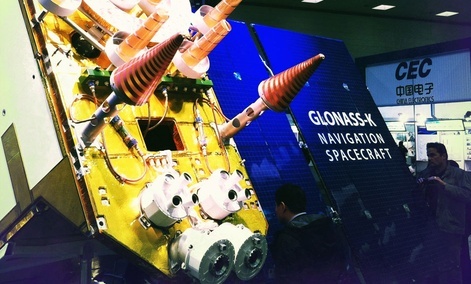 Global VSAT Forum (GVF) emphasizes importance of blanket licensing for countries to ensure the coexistence of satellite in the marketplace, and help developing countries attract foreign investment. NASA’s 30-day Lunar Laser Communication Demonstration (LLCD), with record-breaking data download and upload speeds, showed the system could operate as well as any NASA radio system. Three Russian military satellites launched December 25 reach their target orbit. 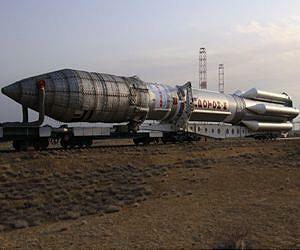 Russia and Kazakhstan agree on three-year Baikonur roadmap. ISRO targets January 5th launch window for GSAT 14 satellite. Set to launch in February, the Global Precipitation Measurement (GPM) satellite will gather data that can help with efforts to monitor the effects of global warming on precipitation. 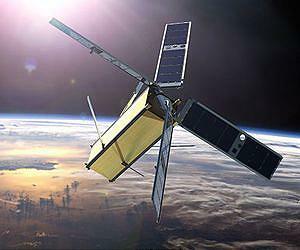 Azerbaijan’s first telecom satellite reaches $10 million in revenue for 2013, with more than 50% of payload sold. U.S. federal court grants in part and denies in part a motion by Boeing to dismiss counterclaims filed by Russian space giant Energia in Boeing’s lawsuit against the Russian company. National Association of Broadcasters (NAB) purchases assets of the Satellite Communications Conference and Expo (SATCON) as well as Content and Communications World (CCW) from JD Events. NASA selects United Launch Alliance’s (ULA) Atlas 5 to launch planned 2016 Mars mission. Congress says Russia must use U.S. citizens to manage construction, operation, and maintenance of any satellite monitoring ground stations it builds in the U.S. Emerging data-coding technology could more than double bandwidth on satellite Internet connections, boosting service to developing countries, planes, and cruise ships and fixing jerky live video news feeds. Green satellite propulsion nears industry breakthrough with development of competitive propellant called Hydroxyl Ammonium Nitrate (HAN) fuel/oxidizer blend, or AF-M315E. U.S. Air Force considering whether Falcon 9 v1.1 maiden launch will count toward certification qualifying the company to launch national security assets. Panasonic and China Telecom partner to offer in-flight internet. 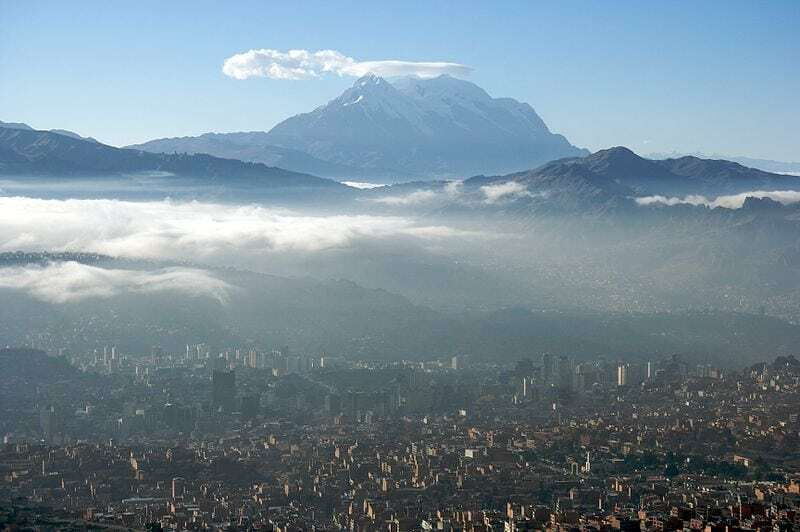 Chinese rocket launches Bolivia’s first telecommunications satellite, with the president of Bolivia, who traveled to China for the launch, declaring it a success. SpaceX had edge in competition to lease NASA pad in Florida because of its firm backlog. Alcatel-Lucent to sell U.S. satellite unit LGS for $200 million. 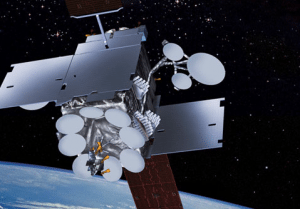 XTAR wins $5.6 million renewal of U.S. Army satellite telecom contract. Turksat and Eutelsat announce an agreement whereby Eutelsat will redeploy its EUTELSAT 33A satellite in May 2014 from 33 degrees East to 31 degrees East, where it will be operated by Turksat under its satellite network filings. 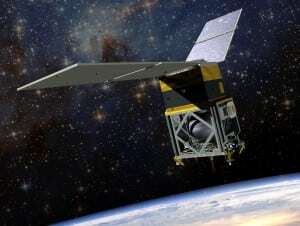 Europe launches star-surveying satellite Gaia, in mission to map 1 billion stars. ViaSat demonstrates full mesh MF-TDMA DAMA multi spot beam networking over the WGS satellite network for the U.S. Army. SSL celebrates 50th satellite built for Intelsat, and CEO discusses future satellite opportunities for the company. Inmarsat signs Astrium services as Global Xpress distributor. 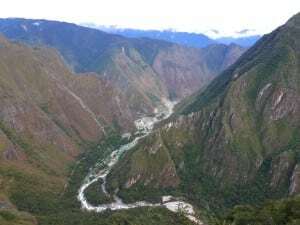 Gilat to connect remote areas near the Amazon river in Peru to enable Internet and telephone services for 70 communities in the Loreto region. 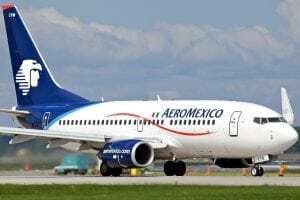 Aeromexico to install Gogo Vision on at least 75 aircraft. Top 10 quotes from January issue of Via Satellite, as the magazine celebrates the winners of the first edition of the Via SAtellite Excellence Awards. SES, SpeedCast and AsiaSat donate satellite capacity and ground infrastructure services to Philippines following Typhoon Haiyan. 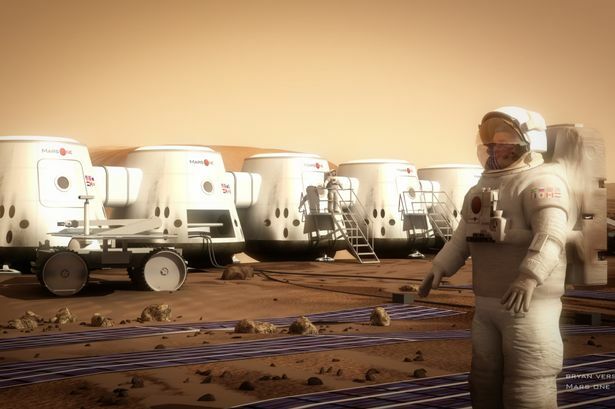 Surrey Satellite Technology to develop interplanetary communications system between Mars and Earth for Mars One. 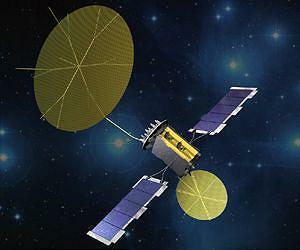 Military communication improved as 6th Boeing-built Wideband Satellite enters service. Geoforce GT1 satellite GPS tracker becomes world’s first to receive IECEx/ATEX Zone 0 certification, the highest satellite tracking device safety rating. Comtech EF Data demonstrates 10% roll off functionality for DM240XR video broadcast modulator. Arianespace orders two Vega launchers for unidentified commercial customer for launches in 2017 and 2018. 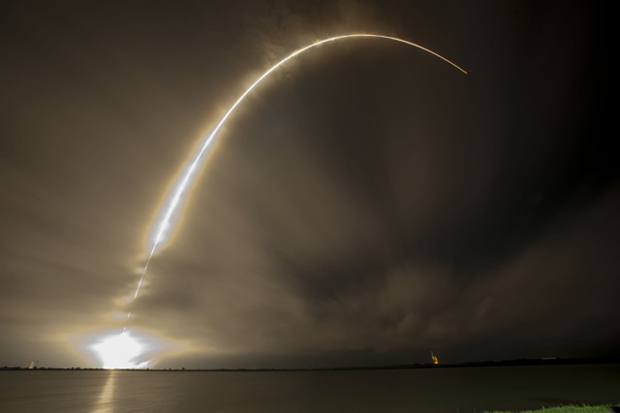 45th Space Wing provided vast network of radar, telemetry, optical and communications instrumentation to support successful launch by Space X of the SES-8 satellite. Inmarsat acquires U.S. maritime service provider Globe Wireless in bid to transform its 6,000 ship customer base into future Inmarsat Global Xpress broadband users. New Zealand plans to enhance naval communications capabilities, procuring ground infrastructure to operate on the WGS satellite network. 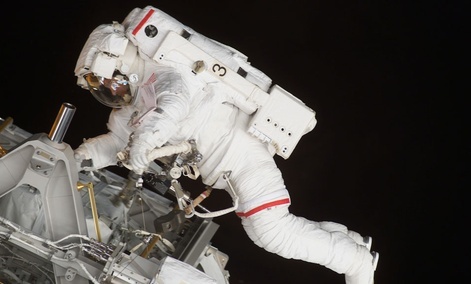 ISS Astronauts undertake massive repair job that could stretch to Christmas day, with series of spacewalks. Kymeta successfully tests flat panel Ka-band antenna on Anik F2 and moves toward product development. ViaSat Exede Evolution is first satellite internet plan to offer unlimited, full-speed access for web pages and email. Exelis to use ENVI software for Skybox imaging data analysis, supporting data analysis of images from SkySat 1, the first in a planned constellation of 24 satellites from Skybox Imaging. Astrium and GeoNorth sign multi-satellite receiving station agreement, working together to build the first multi-mission Direct Receiving Station (DRS). Astrium signs agreement to provide 18 additional Ariane 5 ECA launchers to Arianespace. 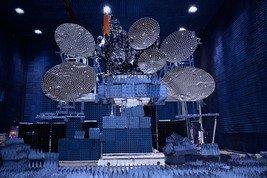 SSL is selected to build new replacement satellite for AsiaSat, AsiaSat 9. U.S. Air Force awards Lockheed Martin more than $200 million in contract options to complete production of its fifth and sixth next-generation Global Positioning System satellites, known as GPS 3. Avanti Communications takes over ownership of the ARTEMIS satellite. Arianespace to launch SGDC satellite for Brazil in 2016. 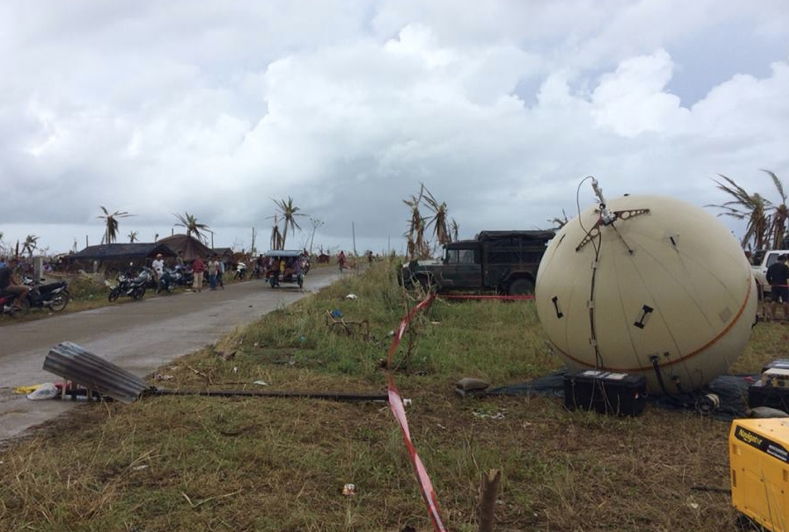 GATR terminals among first high-bandwidth satellite communications terminals deployed in key areas of Phillipines after typhoon. Boats and aircraft passing through Andaman Sea region warned to watch out for falling parts of India’s GSLV-D5-II satellite launch vehicle. Research and Markets adds “Global Satellite Communication Market in the Oil and Gas Industry 2014 – 2018″ to their offering; number of UDW rigs expected to reach 220 – 230 units by 2018. 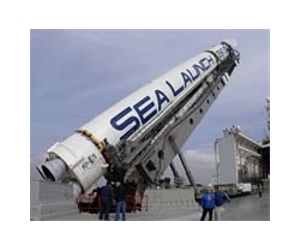 Sea Launch plans to focus on the heavy lift launch market, focusing on its strength to stay afloat as SpaceX enters its waters with a successful launch of SES-8. Lockheed Martin to re-enter the commercial satellite business, building and launching satellites. NASA negotiating pad lease with SpaceX after GAO rejects Blue Origin protest. Brazil selects Thales to play a key role in its space development plans as it establishes SGDC Government Communications Satellite System. Arianespace and Visiona Tecnologia Espacial S.A. sign launch contract for the next Brazilian government satellite, the Geostationary Defense and Strategic Communications Satellite (SGDC). Mexican government to award licenses for two orbital slots in Ku- and extended C-band frequencies at two orbital positions it has long held. The sixth WGS satellite, funded by Australia, enters service. 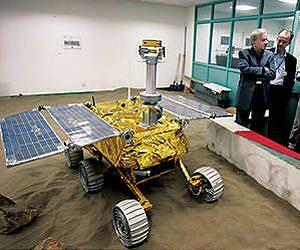 China’s first lunar rover to land on moon December 14. Comtech reports increased commercial orders and expects downward revenue spiral following loss of Army contract and U.S..budget freeze to end this year. EchoStar Corp. and Vivendi end talks on a joint venture to develop a pay-television service in Brazil using EchoStar’s orbital slot at 45 degrees west longitude. New, low-cost cubesat mission led by the Johns Hopkins Applied Physics Laboratory will demonstrate technology needed to measure the absolute imbalance in the Earth’s radiation budget for the first time. Federal budget crunch leads U.S. Air Force to decommission an experimental missile warning sensor hosted aboard a commercial satellite after 27 months on orbit. Northrup Grumman re-purposes satellite communications system normally used in space as high-functioning low cost system for aircraft in one year. Mitsubishi Electric Corp. (Melco) to build Japan’s GOSAT-2 environmental satellite. Research and Markets announces addition of “2013 Report on the US Machine-to-Machine Communications Market – Includes Forecasts to 2018″ report to their offering. Team of researchers, mainly Valencian, win contract with ESA to conduct research on use of new materials for reduction of the Multipactor effect in effort to improve space communications systems in ESA’s satellites. British government deepens ties to China’s space sector with bilateral agreements on future joint projects and a fund to promote British industry’s search for a foothold in China. Spacecom mulls over possible sale or merger. Telespazio recently linked-up with Eutelsat to market broadband services using its Ka-Sat satellite and hopes satellite broadband can make a big impact in Italy, as well as other countries in Europe. ATK and Hughes successfully demonstrate LEO-based weather sensing technology to US Air Force. Avanti secures deal to connect libraries in South Africa. Contribution & Occasional Use TV Markets to Require over 700 Transponders and 1.4 Gbps of HTS Capacity by 2022. NSR’s new report “Land Mobile and Handheld Satellite Markets” points out that traditional growth in this part of the satellite communications market accounted for 97% of global revenues in 2012; is expected to drop to 82% by 2022; growth in the consumer market is making significant impact. KVH is chosen by BW, a worldwide leader in maritime energy transportation, as the satellite communications solution for its Liquefied Natural Gas (LNG) and Liquefied Petroleum Gas (LPG) fleet. NIGCOMSAT decries annual capital flight due to unchecked penchant of Nigerian organisations to purchase bandwidth from abroad. Chinese-Brazilian satellite launched by China Monday failed to reach planned orbit and likely fell back to Earth. Obama administration reviews Russian proposals for satellite monitoring stations on U.S. soil. 6-year-old donates life savings and starts on-line petition to save NASA. Russian DTH provider Tricolor discusses satellite capacity demands. Private Mars One venture engages Lockheed Martin and Surrey Satellite Technology to work on hardware concepts for robotic Mars mission. 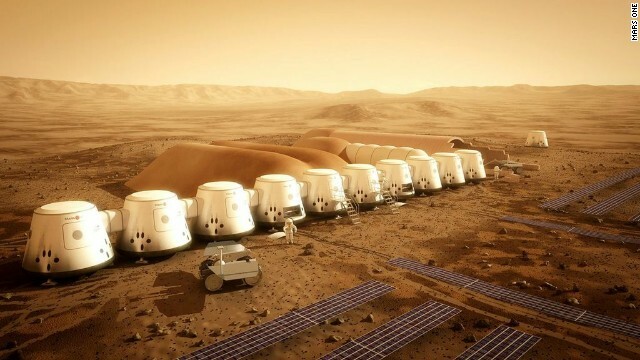 200,000 people apply to live on Mars. SkyWave and Garmin solution enables integrated vehicle tracking, navigation, driver communication and dispatch capabilities regardless of cellular service availability. Honeywell and Inmarsat advance global wireless in-flight connectivity program. Globecast, Measat and Mezzo partner to bring new HD channel to Asia-Pacific region. NASA’s Tracking and Data Relay Satellite arrives at Kennedy Space Center. SSL delivers ABS-2 satellite to launch base in Kourou. Spacecom has kept all five of its satellites working at close to full capacity from DTH operators, TV channels, and North American agencies, and ultimately hopes to use its brand of Amos satellites to become a global operator. Recent Gooch & Housego acquisition Constelex Technology Enablers announced its participation in new European Union R&D projects and European Space Agency (ESA) space photonics contracts. First Global Xpress®Satellite Launch and 7th ILS Proton Launch of 2013, Inmarsat-5 goes into orbit. [MarketResearchReports.biz announces addition of new report “Global Satellite Communication Market in the Oil and Gas Industry 204 – 2018” to its database. SpaceX’s second attempt to launch SES-8 satellite, on Thanksgiving day, is shut down at last second as the rocket’s nine first-stage Merlin engines automatically shut down at ignition as increase in pressure in first stage oxygen tank was slower than expected. SSL Partners with NASA to place laser communications relay demonstration on a commercial satellite. Signalhorn is awarded funding from the European Space Agency (ESA) to develop a gateway that will allow its customers to monitor all aspects of their services with the company, under ESA’s ARTES program. European Space Agency announces that next two large science missions will study the hot and energetic universe and search for elusive gravitational waves. 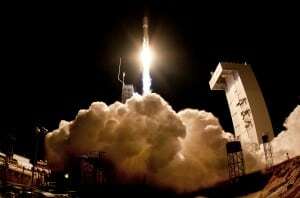 Brazilian telecom provider Telebras and Embraer sign contract to supply the Defense and Strategic Communications Geostationary Satellite (SGDC) system following outcry over U.S. spying..
Why the world’s 2nd largest fleet operator (SES) agreed to be SpaceX’s 1st customer for a launch to GEO. Small satellite delivered to International Space Station is launched into space to demonstrate advanced deorbiting technique using exo-brake parachute.. Recent launch of Minotaur 1 rocket marked first flight test of new on-board safety system aimed at preventing errant rockets from causing damage or bodily harm on the ground. Nitrogen tanks explode at SpaceX’s Texas rocket test facility. Analyst speculates that Dish could spend up to $10.7B on LightSquared, H Block, AWS-3 and 600 MHz spectrum over the next year. DigitalGlobe and AstriumGEO strategies look like classic Niche vs. Mass Market opposition. Boeing targets manned and unmanned ISR platforms for Inmarsat’s GX government sales tactic. Comtech Systems receives $2.4 million contract for new Troposcatter communications system. SpaceX has to postpone launch of SES-8 after three stoppages in the countdown. Reportstack announces new market report on Global Satellite Communication Market in the Oil and Gas Industry which forecasts the market to grow at a CAGR of 5.74 percent over the period 2013-2018.
exactEarth launches advanced AIS satellite that will extend its exactAIS constellation and increase the capacity of its global vessel monitoring service. CEA-Leti’s next-generation magnetometer technology was launched into space on board the European Space Agency’s three Swarm satellites to collect unprecedented detail about the Earth’s magnetic field. NASA weather satellite with Ball Aerospace’s GMI instrument arrives in Japan where it will launch aboard NASA’s Global Precipitation Measurement (GPM) mission. Telespazio and Eutelsat sign multi-year agreement to market KA-SAT services in Italy. Orbcomm strengthens cellular footprint through agreement with Telefonica. Caribsat teams up with Newtec and Eutelsat for West Indies broadband play. SpaceQuest CEO looks to enter M2M market. Huawei helps APT construct cloud data centers, integrating cloud computing data services with satellite communications services. Team Tobyhanna uses pioneering approach to install the Army’s next generation SATCOM ground terminals using a plan that exceeds the depot’s annual Value Engineering Proposal cost avoidance goal by more than 276 percent. ASC Signal Corporation secures major contract with Sheri Tai International Company of China for HF antennas for coastal communications systems. Creonic of Germany announces two new IP cores for satellite communication – a DVB-S2 demodulator and a DVB-CID (Carrier ID) modulator. Rogers Communications and NHL announce 12-year national broadcast and multimedia agreement. Inmarsat appoints ESL as global government distribution partner. Teal Group analysts identify 3,164 space payloads proposed for launch To 2032 with an estimated value of more than $235 billion. Euroconsult expects 33 High Throughput Satellite (HTS) systems to be launched between 2014 and 2016, as HTS expand into new markets. Boeing’s Family of Advanced Beyond Line-of-Sight Terminals (FAB-T) development program has completed the functional qualification testing phase for the protected wideband satellite communications system. Eutelsat selects Newtec’s Sat3Play VSAT Broadband Platform to extend its IP Easy service offering over the French West Indies and French Guiana. Lockheed wins $105 million Air Force contract to help operate two satellite communications systems. Globalstar announces that the Spanish Ministry of Defence is now using SPOT Satellite GPS Messenger™ and SPOT Connect™ devices for in-field communications for personnel who are operating in remote locations with no cellular coverage. 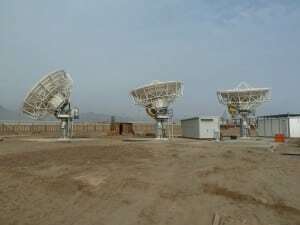 O3b Networks opens satellite ground station in Peru. Comtech Telecommunications Corp. receives $1.1 million in additional orders for satellite equipment spares from Brazilian military. Sat Space Africa to expand African market reach through AfricaSat 1a. ViaSat and Harris Corp are boosted by key breakthrough in the European milsatcom market, as BAE Systems U.K. selects the KOR 24 Small Tactical Terminal co-developed by the companies for installation on the Falcon 20. FLYHT introduces the Dragon, a revolutionary, lightweight, portable satellite communications device that blends existing FLYHT technology with that of the iPad. Snowden leaks reveal that Singapore and South Korea are helping the U.S. and Australia tap undersea telecommunications links across Asia. Cable mergers might rekindle the consideration of a merger between DirecTV and Dish Network. 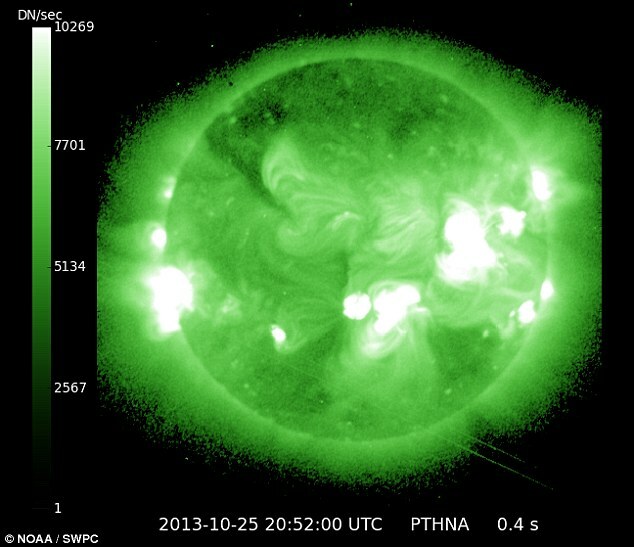 X1.7 solar event with potential to disrupt satellite communications and harm astronauts sparks temporary radio blackout. Proton-M launches with Sirius FM-6 satellite. Northrup Grumman’s production of fifth and sixth Advanced EHF communication satellite payloads off to a strong start thanks to delivery of customized integrated circuits. Ground radars count 1,369 objects in geostationary orbit of which nearly half of are in an uncontrolled drift orbit, and another 178 dead satellites have converged at one of two libration points on opposite sides of the earth. Globecomm Systems chooses Amino set top boxes as parts of deployment of managed communications solution to over 1,000 locations across the U.S. for a national retailer. 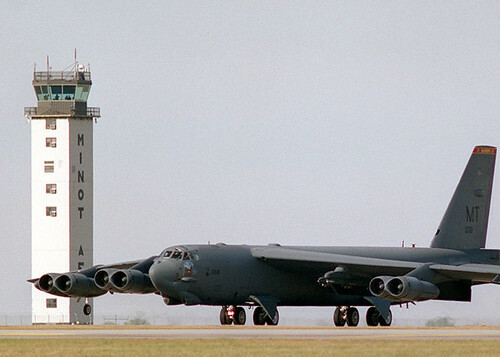 Minot Air Force Base B-52 bomber crews to get upgraded communication system that can send and receive information via satellite links. Business aviation forecast spells good news for satellite communications market. Emerging Markets Communications becomes first global VSAT and terrestrial connectivity provider to obtain a Department of Petroleum Resources (DPR) license to provide services directly to oil and gas companies in Nigeria. Orbital Science’s Cygnus space capsule concludes its first ISS cargo run, breaking up during re-entry and burning up over the Pacific Ocean. ViaSat CEO Mark Dankberg gets Clarke Foundation’s Innovator Award. Astrium is awarded contract by DirecTV Latin American to build the latest addition to its fleet, based on the E3000 platform, to be launched in early 20176. Avanti will buy Artemis data-relay satellite along with all rights to its orbital slot from the European Space Agency. 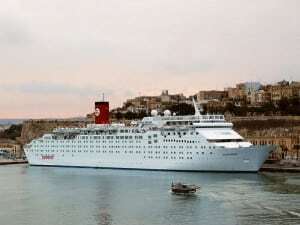 Harris-CapRock win of Carnival Cruise Line digital communications contract against MTN Satellite Communications means hit to MTN bottom line, but MTN still has key ingredients to remain relevant in maritime market. 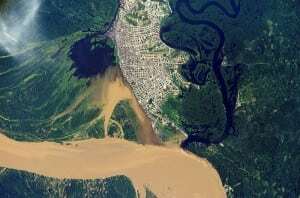 Media Networks and Conekta to provide Ku-band satellite internet for rural towns in the Amazon. Blue Sky introduces HawkEye 7200 portable satellite tracking unit that operates on the U.S. GPS, Russian Glonass and European Galileo systems and also supports Iridium satellite communications for mobile devices. Aircell, a subsidiary of Gogo, signs with Honeywell Aerospace to become distributor for Inmarsat’s Ka-band GX Aviation Services. Honeywell is enhancing its satellite communication product lines with a supplier agreement to bring to market the Aspire 300, a new FANS over Iridium product that improves safety and operational efficiency. Hispasat’s Amazonas 4A near completion, getting ready for launch in December. SES is now designing its satellites with dedicated beams for mobile markets, including the maritime market. NASA awards Astrotech Space Operations a contract to provide facilities and pre-launch processing services for the Deep Space Climate Observatory (DSCOVR) mission to launch in late 2014 on a SpaceX Falcon 9 rocket. SES renews contract with Sony Entertainment Television Asia. XIPLINK and Hughes to offer broadband connectivity to public schools in Mexico. Signalhorn to connect thousands of locations across Europe for one of the world’s leading oil producers and gas retailers, using its Xtend solution fully integrating terrestrial, 3G cellular, and satellite technologies. Australian satellite firm NewSat gets $2.4 million deal to supports U.S. Department of Defense in the PACOM region. RSCC (Russian Satellite Communications Company) ready to commission three new satellites. Spacecom reports Amos 5 satellite fault that will shorten the satellite’s lifespan by eleven months. 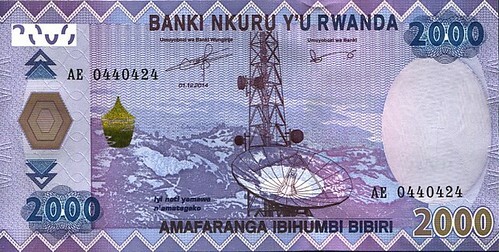 Spacecom’s Amos 5 wins $3.6 million broadcast contract in East Africa. Raytheon supports U.S. Army’s Aviation units with additional satellite radio equipment. TeleCommunication Systems gets $14 million contract to supply satellite equipment and support to the U.S. Army. Inmarsat and Honeywell announce that Satcom1 will be a distribution partner to deliver GX Aviuation to VIP, government and business aircraft across the globe. Global Telesat Communications will provide satellite tracking solution for yachts participating in the Atlantic Odyssey rallies. Comtech Telecommunications receives $1.1 million of orders for satellite equipment spares from Brazilian military. PBS announces request for information process for industry input into definition of the Public Television Interconnection System – Version 6 (PTISv6), to succeed present system in 2016 – DEADLINE November 1, 2013. ESA declares end of mission for the GOCE satellite as its fuel is depleted. EU commissioner welcomes milestone achievement of satellite broadband connectivity now being available to all 28 countries in the European Union. U.S. Department of Defense awards Iridium, a $400 million, five-year contract for Iridium(R) airtime services. Harris delivers first satellite terminals for the U.S. Army’s Modernization of Enterprise Terminals program. Successful operational test of Phasor Solution’s flat, electronically steered antenna array puts the company on fast track to deliver the world’s first commercially available, highly affordable Ku-band phased array antenna in 2014. L-3 GCS receives first military band type approval for GX terminals from Inmarsat. Cobham Satcom’s two-box Aviator S family of satellite communications systems is more powerful than larger three-box systems. Fort Worth, Texas company Elbit Systems of America delivers hundreds of lightweight satellite communications amplifiers to the Army, Air Force and Navy each year for rotary wing aircraft. Just as U.S. Air Force is finally revamping approach to attracting more companies to the military satellite business, cuts in defense spending threaten to undermine the progress. NSR’s Satellite Operator Financial Analysis report provides comprehensive picture of the satellite telecom industry from a financial standpoint. The new SATCOM standard (DVB-S2 extensions) explained – is the standard relevant for the MILSATCOM market? 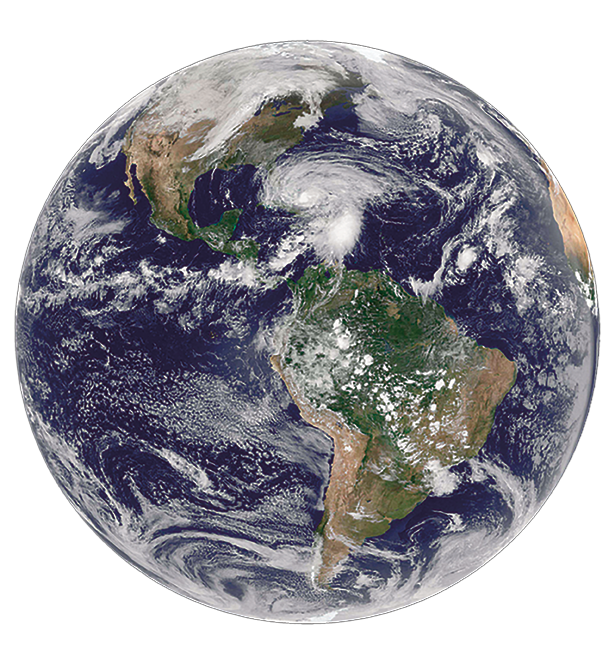 Incorporating satellite into Continuity of Operations plans for severed weather or disaster events. Spending bill passed by Congress provides NOAA funding flexibility for maintaining launch schedules for two weather satellite programs. Companies interested in taking part in a revolution in the way Europe develops and builds rockets have submitted more than 150 proposals for overturning the current launch vehicle industrial base to build the next-generation Ariane 6 within the cost objectives. ESA delays the contract award for next-generation polar-orbiting MetOp satellite system to assure the spacecraft are built to disintegrate over the Pacific Ocean on retirement. Orbital Sciences pursues commercial launch opportunities for its Antares rocket following two successful NASA funded test flights. Sirius FM-6 to launch October 20 on Proton M/Breeze M; – Via Satellite webcast starts October 20th at 1:45pm EDT. NASA’s Jet Propulsion Laboratory expects to download 700 terabytes of data per day from NASA missions; its engineers are busy developing creative tools to better store the data. U.S. Air Force awards two-year contract extension to SES for hosted payload. NSSLGlobal announces further expansion of their VSAT Ku-Band network to include an additional two satellite beams covering the South Atlantic and Indian Ocean region. $4.1 billion of Department of Defense contracts awarded prior to the U.S. Government shutdown is a tree hiding a forest of not-so-good news that gives the impression the bottom of the milsatcom wave is yet to come for the satellite industry. Raytheon leverages its position as the only provider of AEHF satellite terminals to three branches of the military to show that it can provide an affordable protected tactical solution using an unclassified secure waveform. SATCON 2013 will shine spotlight on intersection of satellite communications and future media capabilities. Reportlinker adds new report to its catalogue: Global Markets for Satellite Technology — Focus on the EMEA Market. IRG Challenge industry to implement Carrrier ID 100 percent by June 2014, the date of the 2014 Football World Cup. ESA awards Astrium three new contracts for Ariane 6 and Ariane 5 ME. HISPASAT and Astrium present Europe’s first reconfigurable Ku-band satellite antenna, boasting four simultaneous beams, which will be installed in the Hispasat AG1 satellite. Nippon Television Network Corporation chooses SES as its satellite operator of choice to provide live transmissions of three key sporting events in Europe. Media Networks launches satellite Internet wholesale service in Latin America on the nine Ka-Band beams on ISAT-KA. Europe reaches major milestone in drive to bridge the Digital Divide, launching broadband satellite services in the Baltics, Estonia, Latvia and Lithuania, now reaching all 28 EU countries. Thales merges the navigation, surveillance, and simulation segment of the Thales air traffic management organization and the former Thales USA Defense and Security organization with 2012 acquisitions Tampa Microwave, Viosionix, and InterSence. Major U.S. broadcaster selects NovelSt to upgrade the satellite communication technology in their global Digital Satellite News Gathering fleet. Boatracs Inc. to provide a broadband communications solution to B & J Martin, Inc., outfitting the site clearance trawling division of their fleet with KVH TracPhone V7-IP VSAT terminals and mini-VSAT Broadband service. The United States Navy built the first satellite communications ship, the U.S.N.S. Kingsport, in 1963. 10 reasons why Global MilSatCom 2013 is set to become SMi’s biggest SatCom event to date. U.S. Air Force delays upcoming GPS 2F-5 launch for unspecified reasons. Iridium Communications Inc. announces successful completion of a Critical Design Review of the complete Iridium NEXT satellite network system, on schedule for first launch in early 2015. SES enters public-private partnership with the European Space Agency (ESA) for the development of a full-electric propulsion satellite platform. Thales Alenia and Italy’s CGS to build a visible and ultraviolet imaging telescope for Europe’s future Solar Orbiter satellite. SkyVision donates an iDirect-powered satellite network for the Crossover International Academy in Tongor-Attokrokpo, Ghana. Inmarsat selects Kratos subsidiary Sat Corporation’s Monics system to provide satellite interference detection for Global Xpress. 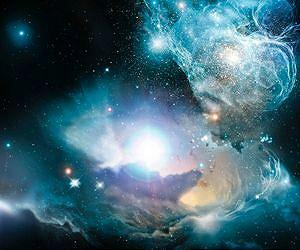 Thales Alenia Space will build Multi Element Telescope for Italian Space Agency’s Imaging and Spectroscopy instrument. Alcatel-Lucent to provide ground station for monitoring of spectrum in satellite communications for Anatel of Brazil. Morgan Stanley report claiming the FSS sector has entered a “no-growth” cycle and that “HTS will struggle to find a market” misses the mark. Boeing to build fourth satellite for the Inmarsat Global Xpress network. 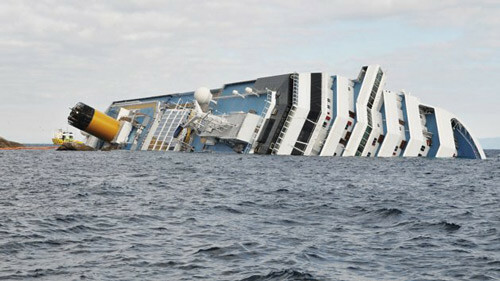 Harris CapRock to provide communications services for more than 100 Carnival Corporation cruise ships worldwide. Newtec and SniperHill deploy new satellite technology providing increased throughput and service availability for network serving NATO and U.S. Troops in Afghanistan. NewSat signs $5 million worth of new teleport business contracts in first quarter of FY 2014 to provide satellite communication services across the Middle East and Austaliasia. United Airlines launches 100th aircraft with satellite Wi-Fi. Arabsat gets exclusive rights to broadcast Sudan’s football. Broadband Satellite Services Limited (BSS), an investment company based in the North East of England, completes the acquisition of AND Group & the Satcom Global group of companies. iDirect Wins VSAT 2013 Technology Innovation Of The Year Award for high performance X7 remote. 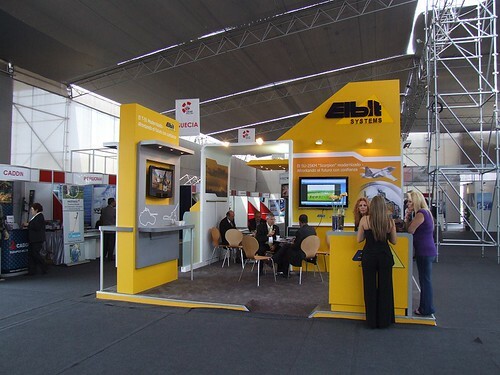 Cable & Wireless to sell its Algerian satellite communication business Divona SpA to Smart Link Com SpA of Algeria for $1.4 million..
Gilat Satellite Networks continues to make strong progress in Latin America, getting an award for equipment and services from Entel S.A., the largest telecom operator and satellite network operator in Bolivia. Spacecom gets five-year capacity deal from an East African video service provider worth just under $6 million. 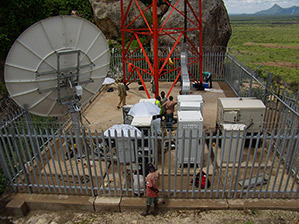 Earth station constructed by Harris near Arua Town, Uganda in 1976 for Idi Amin is now rotting away. As part of U.S. Army’s recently announced 4.1 billion communications budget, Lockheed Martin gets IDIQ contract to deliver satellite and terrestrial communications to the Army. SatStream Media launches new maritime service, SatstreamNet, a multicast-IP content delivery network developed specifically for the maritime industry. BT and BSkyB sign multi-year agreement for Sky Movies to be made available through BT TV. Via Satellite speaks with Michel de Rosen of Eutelsat about all things Latin America, and how his vision for Eutelsat is shaping up. Oil companies see a future in satellite, but want lower prices. U.S. government changes its business approach with satcom vendors under Sequestration, but what does this mean?